Rosewood Stitches has donated a great Victorian Reticule perfect for a fine Victorian lady short on a few easy access pockets. This is a great wristlet for your wallet, phone and other essentials. I'm in love with my cross body convention bag that I bought from her not too long ago. The fabrics she uses are very sturdy and finely decorated. I can't wait to save up for the matching Carpet Bag! Be sure to check out the great selection of steampunk bags, purses, hats and clothing. Rosewood Stitches accepts custom orders too! If you don't see something on the store, let the artist know; she is a pleasure to work with and her pieces are great quality. Rosewood Stitches, owned by Linda Lindsey and based in Humble, TX, has been sewing for over 30 years. 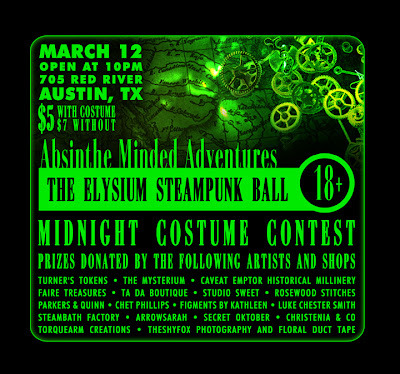 She discovered the Society for Creative Anachronism 23 years ago and got hooked on costuming. In 2004 Linda got clean and stayed that way by working in Iraq for 2 1/2 years. Upon returning to the States, she fell off the wagon as soon as she discovered Steampunk. Linda is more than happy to be hooked again. 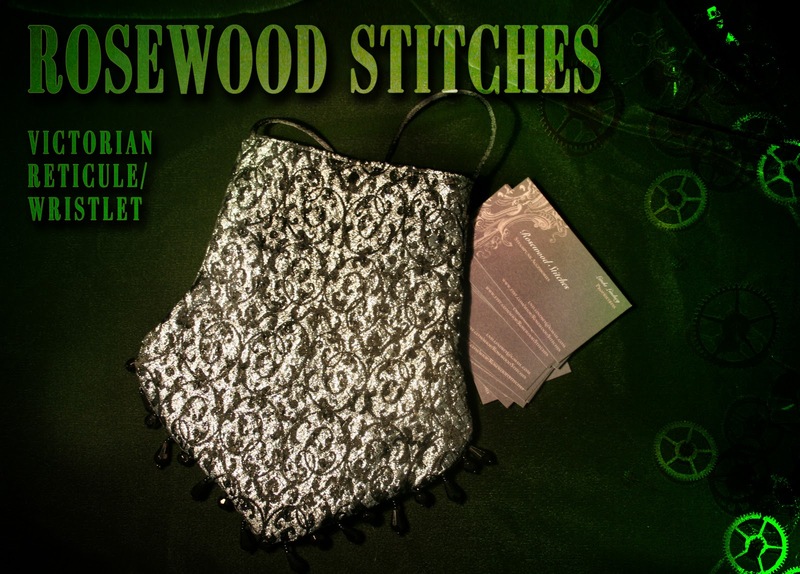 Rosewood Stitches also enjoys doing panels on plus sized costuming at conventions. Rosewood Stitches items are all handmade, machine sewn and hand finished. The hats are made from scratch out of buckram and wire and no two are the same. If you are looking to top off your outfit with a statement, be sure to check out Rosewood Stitches' Shop!